Apple's Event Recap: If Google Is Skynet, Then Apple Is...? The first announcement — and quite possibly the only truly interesting one of the day — came in the form of Apple News+, which is essentially a rehash of Apple’s Newsstand that was replaced with Apple News back in iOS 9. A brand new twist on news, Apple News+ is a subscription service that claims to give over 300 popular magazines including newspapers and digital publishers all from within the Apple News app. As someone who tends to grab a magazine for a flight from time to time, Tim Cook conveyed a message that I thought was interesting about Apple News+. The $9.99 a month subscription could be a good thing if you enjoy reading publications such as Vogue, National Geographic, People, ELLE and The Wall Street Journal, but don’t want to pay for each individually. He even went to great lengths of driving the point home by stating that all of these combined subscriptions would set you back roughly $8000 a year. This is, of course, if you aren’t savvy enough to search the internet (or in some cases, Twitter) for the articles, Apple News+ is a way of getting what’s considered “high-quality” articles written by “trusted sources” (ala.. under the Apple Umbrella). Available in the US, Canada, UK and Australia, Apple News+ is the only product that is available today, courtesy of an upgrade to iOS 12.2 in the app store. Next up there’s Apple Arcade, what Apple considers to be the World’s First Game Subscription Service for both Mobile, Desktop and the home. I was truly confused about the Apple Arcade announcement, maybe because I do not play games on my mobile, and when I do at home, it’s on a console, but Apple seems to have its focus on essentially making themselves “innovators” by taking ideas others have already mastered, and bundling them into “Netflix-esque” packages. 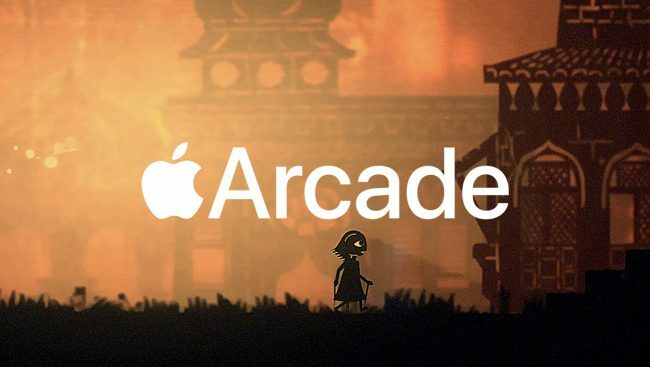 Apple Arcade will be released in the fall, featuring over 100 new and exclusive games, including originals from some of your favorite platforms including Disney. However, during the keynote, a lot of the games shown were in my opinion, terrible. The emphasis they placed on smaller companies games, reminded me of the VR segment that Tim Cook displayed in 2018 of apps such as Sky Guide, and the Basketball game HomeCourt that was based on science. Sure they were great ideas at the time, but for a large portion of us watching, it was just simply keynote filler. It’s hard to actually pinpoint what Apple’s direction is due to the fact it won’t be available until the fall (possibly giving them time to sign bigger names from LEGO, SEGA, and Cartoon Network), but as of now, this was one of the more unimpressive portions of the show. Outside of the Titanium card. Titanium Card you say? Well yeah, apparently that’s a thing as well. Apple announced a credit card without fees, because who doesn’t like borrowed money? I’m still waiting to hear back if the minimum score for approval will be 780, and if those of us who might be interested in it would never get approved, anyway. 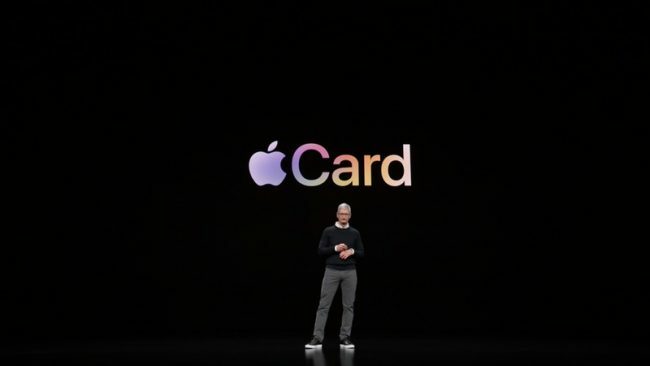 The Apple Card is a partnership with Goldman Sachs and MasterCard which allows you 1% back when you use the card, and 2% daily if you use your Wallet app on your iPhone. There’s a decent 3% on Apple related things, whether purchased on the card or with your phone, but with most companies covering 2% as a standard, and some even going up to 5%, it’s not even competitive at all. Note: Amazon gives you 5% cash back on all purchases, and in some cases will toss Amazon gift cards at you as an incentive. And finally, there’s the “Netflix killer”, Apple TV+. 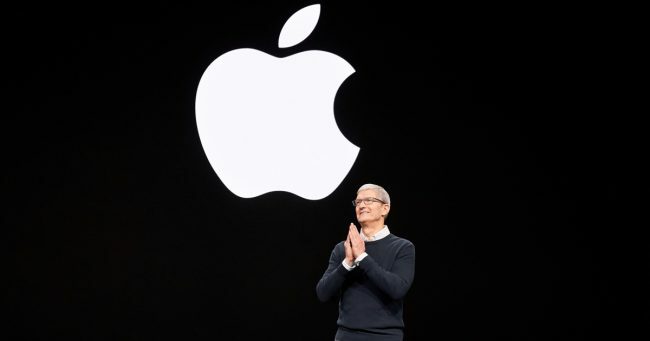 An original streaming service, Apple pulled out all of the stops, having every celebrity you can think of from Jason Momoa, Alfre Woodard, Reese Witherspoon, and Jennifer Aniston, even OPRAH come on stage and announce they have a show coming on Apple+. Even Big Bird came out to let you know that Sesame Street will be coming along for the ride. I feel like this is going to officially come out as competition for Disney+, but will eventually fail at the attempts due to the lack of true content. Time will tell if Apple will give good content, but it’s hard to bet against Marvel, Star Wars and Fox shows, so Apple is fighting an uphill battle. As a counter for not having their own content, however, Apple is allowing a “single sign-on” approach in their Apple TV app, allowing users who have DirecTV, Spectrum, HBO and various others the ability to sign in to all of their apps from a single app to have all of their content in one location. Great idea, however, this should’ve been the case years ago. Starting in May, you can actually subscribe to Apple TV Channels (another product by Apple ) that allows you to subscribe a la carte. So if you’ve always wanted HBO, Starz, Showtime, CBS All Access, EPIX, and all of those premium channels, you can now subscribe to them from a single app. If you are already suffering thoughts of subscription fatigue, or simply need to know the price of each, you can head over to Apple.com for more information today.